Despite, or perhaps because of the fact that I’ve been flying all over the country lately (job interviews, the time-sucking gift that just keeps on giving! ), we’re currently in FIRST BIRTHDAY CRUNCH TIME. As I pointed out on Monday, we’re in Baby P’s 51st week. It’s time for some party décor! 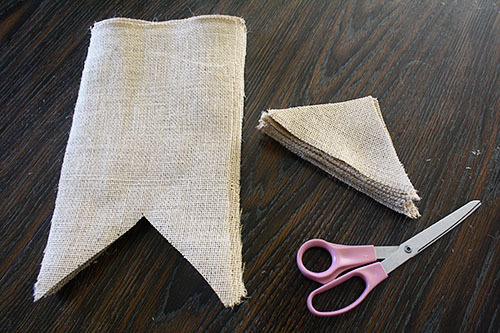 I’ll explain the greater context later, but for the purposes of today’s DIY, I just really wanted some burlap flags for the party. 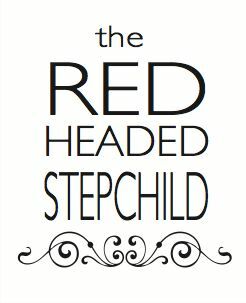 You know, because my brain is full of jobby stuff and so I let Pinterest do all the thinking for me. What’s that, you say, Pinterest? 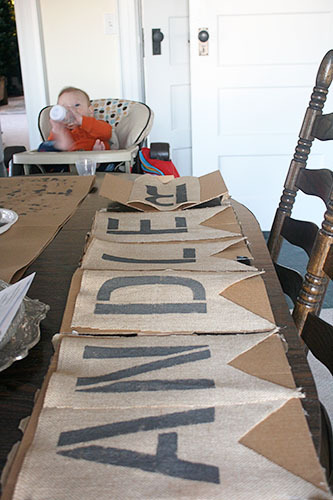 A banner of homemade burlap flags is ideal first birthday party décor? Let’s have it! 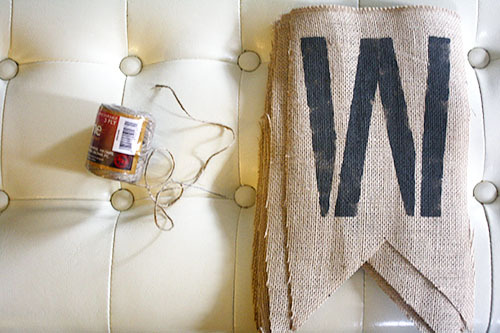 To make the flags, I relied heavily on some DIY shortcuts: these stencils from Target, and this burlap runner from Amazon. Finished edges = less fear of the whole thing fraying and falling apart! I marked the part to cut off with Sharpie and then just cut them out! 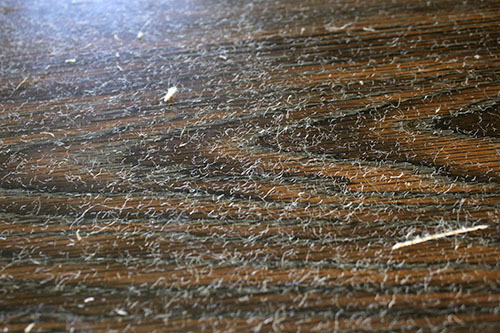 Which, for the record, makes a HUGE mess. Not for doing in your lap, that’s for sure! 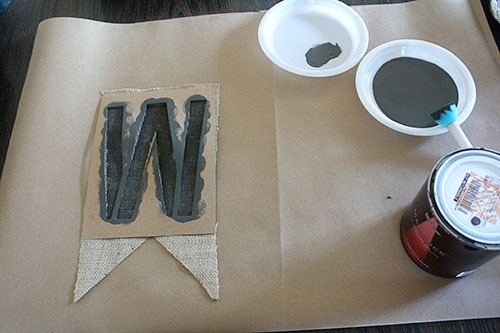 Then it’s time to paint the letters! 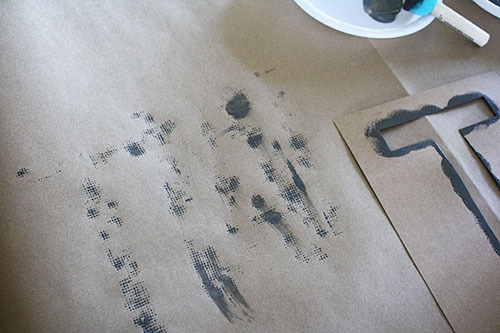 For this, I used a spouncer from this project and the dark gray paint from this one. 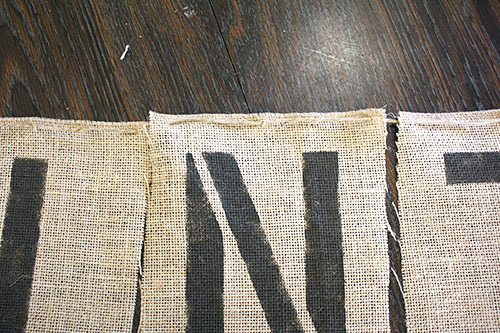 And because burlap has so many holes, I made sure to cover the work area well with kraft paper. It was a good call! I got most of the letters painted while Baby P took one of his epic naps (I know, luckiest parents ever to have a good napper). I was even more fortunate that he was willing to supervise the last few while enjoying a post-nap bottle. Once they dried, it was only a matter of hanging them up. 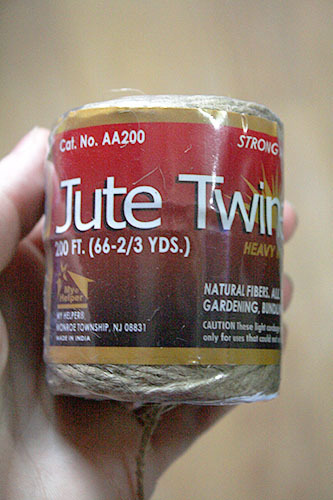 My mom managed to score several rolls of this jute at the dollar store for me. Don’t buy it at craft store, it’s six times the cost! 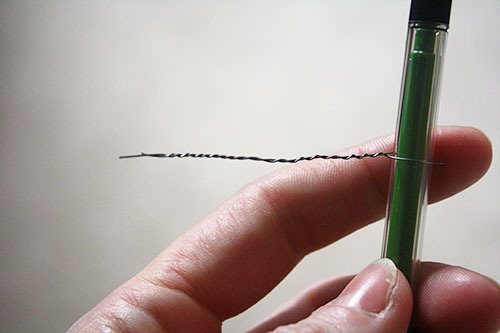 Then I stitched the jute along the top of the banners using... well, I didn’t have a big craft needle, so I fashioned one myself with a pencil and small gauge wire. Good enough to stitch these together! I went back and trimmed some of the loose threads on the sides of the flags, but honestly, I am fine with a little bit of shredding. 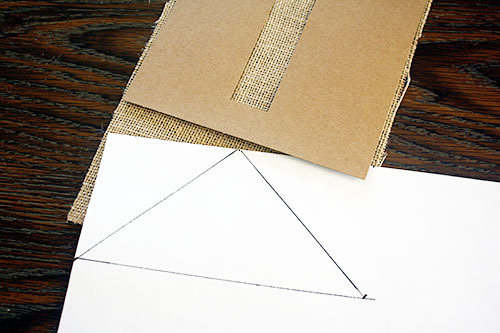 It is burlap, after all – rough and imperfect! 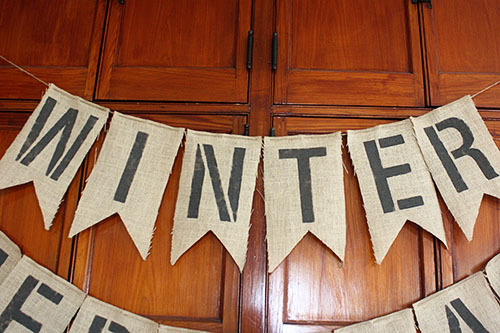 The best part about this garland is that while it’s custom-made for this year, I made a few extra letters so that I could spell something different and make it part of our holiday décor every year! Though even if it were just a one-time use, it was totally worth it. Say, how about a good old-fashioned time and cost breakdown?! Measuring and cutting took an hour, and painting took two (plus drying time). Stitching them together and hanging it up was another naptime, or another two hours (but mostly because I had to figure out how on earth I wanted to hang it). For a 17-letter multipurpose banner? Not so bad! 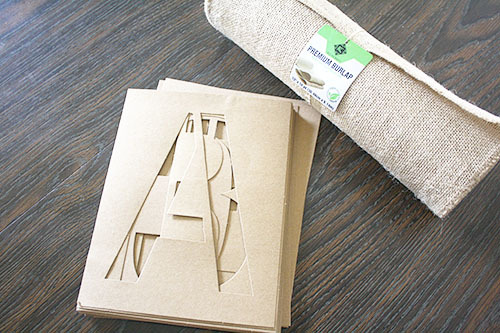 The leftover burlap is getting used as a table runner, and the jute will be used in the favors and elsewhere. On the whole, I’m really pleased with how it turned out! And I’m really excited about how the party décor is coming together. More on that next week! Very cute idea. Wish we could see it in person this year. I know the party will be FUN!